During this interactive, Presentation Skills training workshop, we address the 2 most important elements of delivering a successful presentation: Preparation and Practice. Our 2-day workshop is designed for anyone who is required to make presentations, or to speak in public as part of their role. It’s particularly beneficial for managers, directors and leaders, and sales executives. We operate this course exclusively for in-company bookings. This means we can tailor the content to suit the needs of your team and your business. You can view our public courses here. What are the Benefits of this Presentation Skills Course? 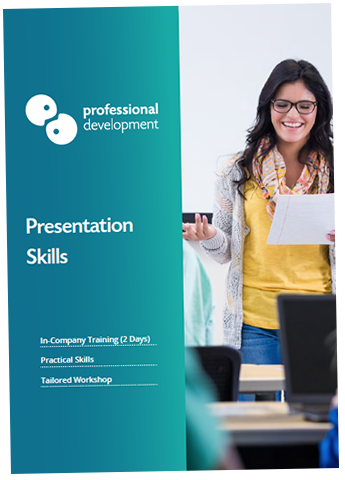 This course is very practical, with plenty of time given to practicing your presentation delivery skills in a constructive, supportive environment. Over 2 days, you will make short, easy presentations that will develop your confidence. Our trainers have a wealth of experience delivering presentations and speaking in public. They bring this knowledge, including many tips on tone, style and body language to the course. Sometimes, the most daunting part of giving a presentation is the possibility of unexpected questions. We teach you how to handle these questions with ease. "Fail to prepare, prepare to fail" - this well known quote certainly applies to giving a presentation. This course equips you with preparation techniques to set yourself up for success. Our proven course format provides time for practicing, receiving feedback and improving as you learn. What is covered on this Presentation Skills Training Course? Encouraging the audience to interact with you - questions, feedback etc. How Can In-Company Training Benefit Your Business? We regularly run our Presentation Skills as an in-company workshop for clients who have sales or management teams that are required to make presentations or speak in public as part of their roles. In-company training is a highly-effective and efficient way of delivering a consistent skill-set to your team. If you have several potential candidates for training within your team or organisation, in-company could be the best way to deliver that training for maximum impact. When we deliver an in-company workshop, you choose a training date that works in-line with your business calendar. Our per-day in-company rate can work out at a significantly lower cost per person than if each participant attended a public course. We will tailor the workshop content to centre around the priorities, goals, and challenges of your team. As you choose the date and we come to your premises to deliver training, there is minimum disruption and downtime for your team's productivity. 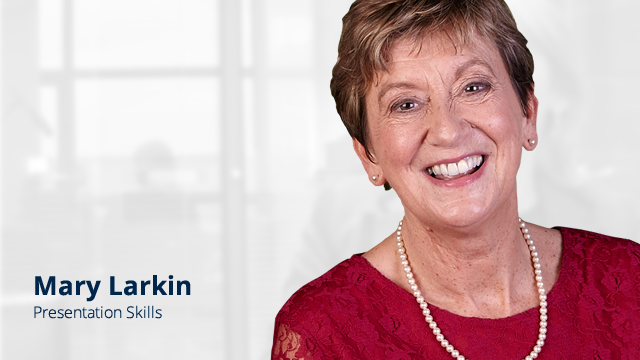 Holding a Presentation Skills workshop in your business ensures that each member of the team receives the same foundation skills and preparation techniques. You can find out more about how in-company training will work best for your organisation by clicking below to ask us a quick question, or request a free quote for your training.